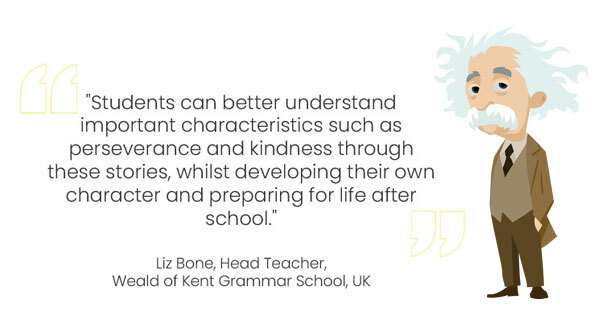 Amazing People Schools is a new cross-curricular website supporting students to develop the characteristics, skills, and knowledge they need to thrive - both at school and in life beyond. With the help of amazing people such as Mahatma Gandhi, Harriet Tubman, Marie Curie and Michelangelo, students feel encouraged to believe in themselves and fulfil their own amazing potential. This unique approach to character education and learning can support every student's personal and academic development. Take advantage of the ready-made assemblies, lesson plans and toolkits which have been developed by teachers, for teachers. Feed your students' curiosity in the world around them with our interactive story world and avatar builder.